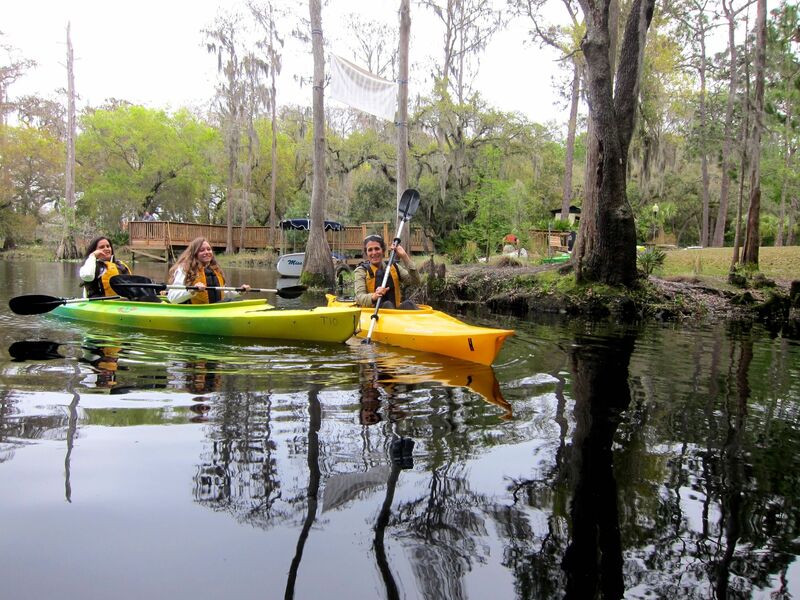 The peaceful setting at Shingle Creek is ideal for kayaking. 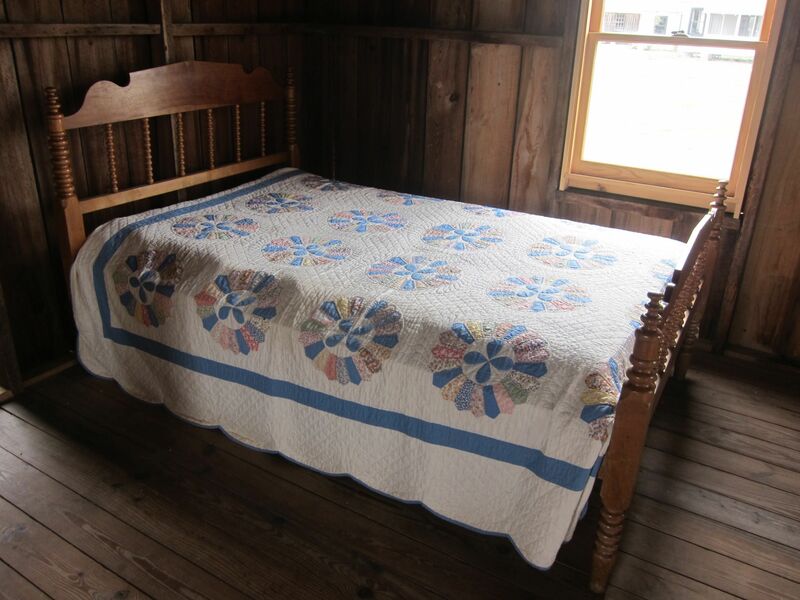 Antique quilt is on display at Pioneer Village in Kissimmee. 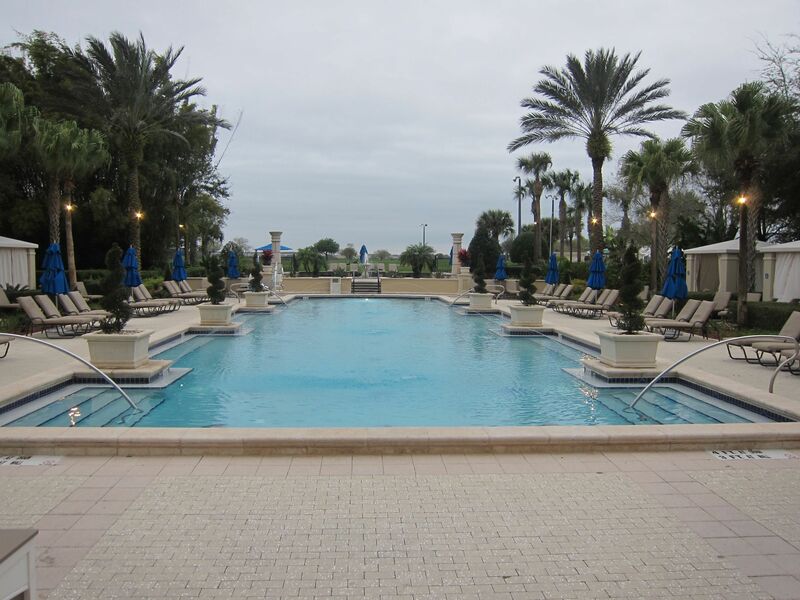 Relax and refresh by the pool at the Omni Champions Gate. 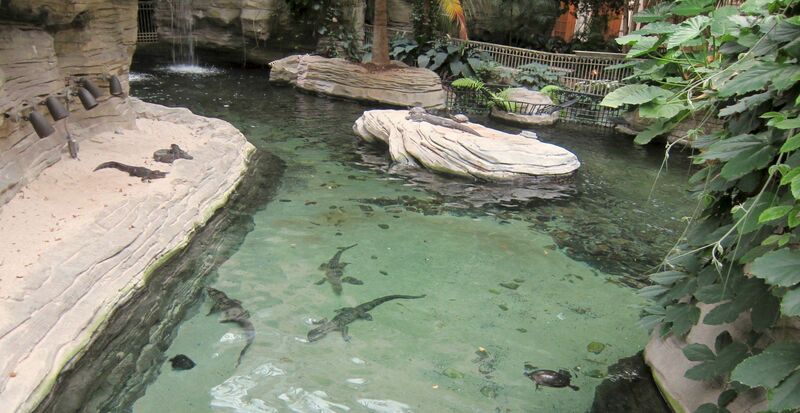 Live alligators are on display in the atrium at Gaylord Palms resort. On a recent visit to Central Florida, I stayed in Kissimmee, minutes from Orlando’s famed theme parks yet rich in other family-friendly activities. With both Disney and Universal recently raising the cost of admission, saving on hotels, meals and activities — easy to do in Kissimmee — is a priority for many families. And if you want a break from Mickey Mouse and Harry Potter, this is the place to recover from the parks’ crowds, hustle, bustle and heat, and discover a more natural side of Florida. Here’s our guide to the best non-theme park activities Orlando’s next-door neighbor Kissimmee has to offer families. 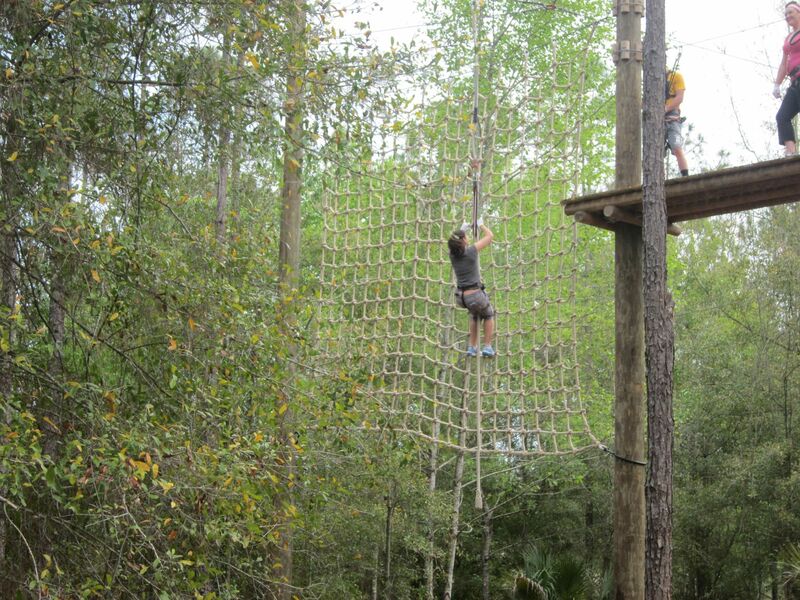 If you want to swing like Tarzan, this elevated obstacle course at Orlando Tree Trek is made for you. The different courses are designed for all ages and fitness levels, including one specifically for children as young as 7. Older kids and adults have their choice of four color-coded courses that get progressively more challenging. 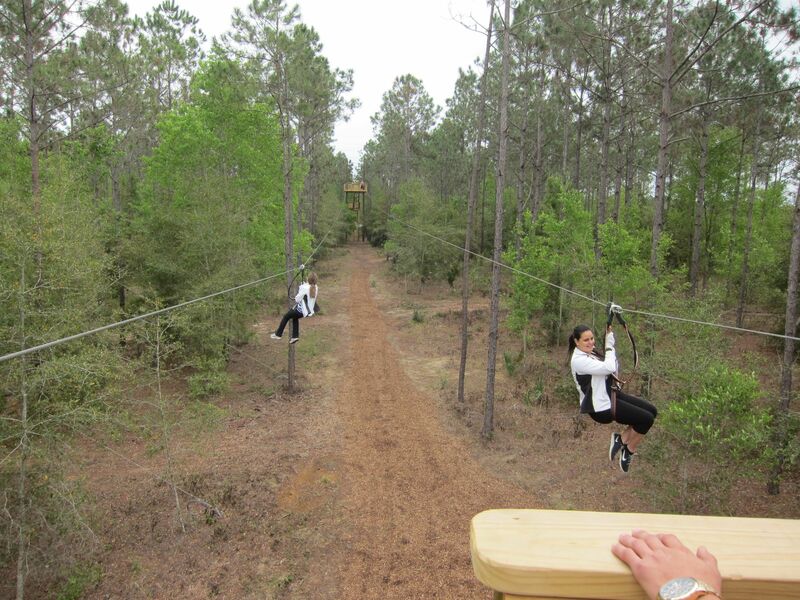 Giant ziplines, suspended bridges and swinging surprises will get your adrenaline pumping. Trained instructors give each participant a thorough safety demonstration and are available to lend a helping hand. 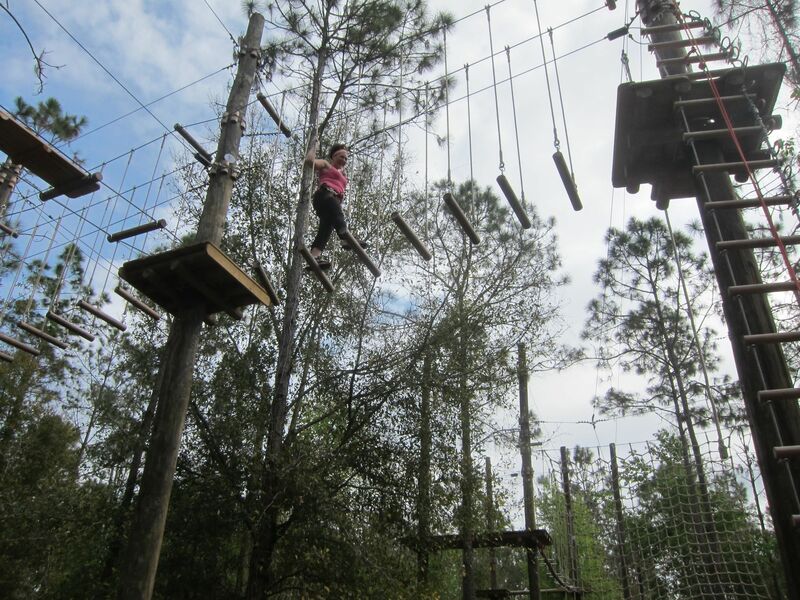 The obstacle courses are set in a fragrant pine grove, so the less adventurous members of your group may relax with a cool beverage under a shady tree and watch you play daredevil. Open daily, rain or shine. 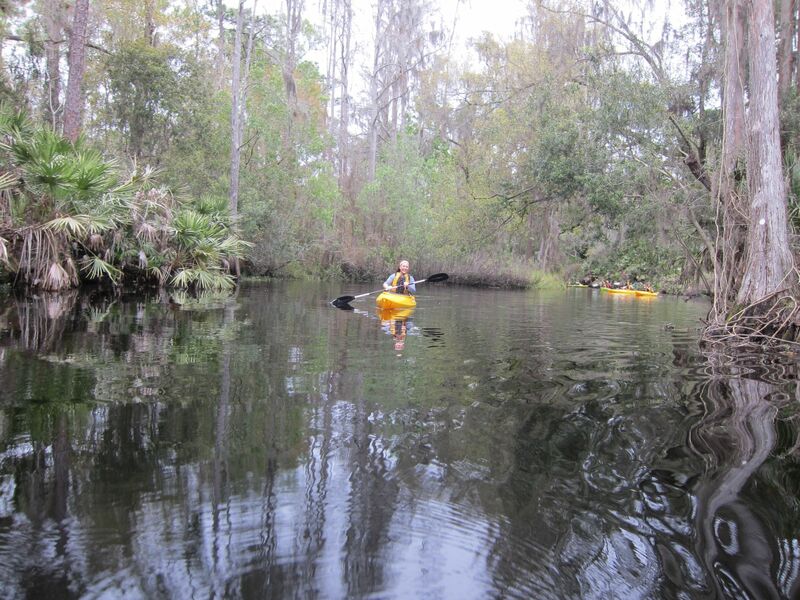 Located at the headwaters to the Everglades, The Paddling Center at Shingle Creek is a superb natural environment. It’s so serene and unspoiled that it’s hard to believe you’re only minutes from a hectic highway. Stately Cypress trees surround you as you single kayak, tandem kayak, canoe or paddleboard the gentle waters. You may rent a boat for a few hours or all day. Guides are available to accompany you but most visitors are comfortable navigating the calm waters on their own. You’ll receive basic safety instruction before you get out on the water. If you want to observe the area’s flora and fauna, head over to Boggy Creek Airboat Rides. The headwaters to the Everglades are where you may view eagles, turtles and alligators. Informed captains help you spot wildlife whether you take a 30-minute, one-hour or twilight ride. If you’ve never been in an airboat, be advised that the boat’s motor is noisy, but headsets are given to muffle the ruckus. Boggy Creek has another outpost near the Orlando airport. A few hours spent at Pioneer Village is a good way to understand that the history of this area started way before Walt Disney came to town. This collection of authentic structures demonstrates how life was lived in rural Florida 100 years ago, before air conditioning. Take a self-guided tour and walk the stroller-friendly grounds at your own pace. Visit the blacksmith shop, citrus-packing house, homesteads and laugh-inducing outhouse. Kissimmee will be home to the RAM National Circuit Finals Rodeo for the next decade. Watch real Cowboys from around the country bronco ride, rope and barrel race in this competitive event. The rodeo takes place at the Silver Spurs Arena in March. The Atlanta Braves and the Houston Astros call Kissimmee home for much of February and March. Even if you don’t root for these teams, fans of the game should enjoy the intimate ballpark setting that puts you close to the action. Kissimmee is only minutes from Orlando’s famed theme parks and large international airport. Excellent hotel deals and bargain restaurants provide affordable lodging and dining options, ranging from luxury condos where you can cook yourself, to roadside motels and diners. Many of the resorts also provide guests with stress-free transportation right to the theme parks’ entrance gates, so you can save on a car rental. Here are my favorite options for families. The Omni Orlando’s 720 rooms, suites and villas provide guests with a host of amenities. Enjoy the golf course, tennis, spa, playground and variety of pools including an 850-foot lazy river. Daily poolside activities and dive-in movies are popular with young guests. Camp Omni runs each evening until 10 pm. The fee includes dinner, so parents have a date night option. There are delectable on-site restaurants, including pan-Asian cuisine at Zen, and Trevi’s unbeatable breakfast buffet, complete with a grits bar. Reunion Resort features three golf courses, a golf academy, tennis center, kids club, waterpark and multiple pools, making it a top choice for active families. There are no standard hotel rooms, rather spacious villas and suites that feel like luxury homes, with fully equipped kitchens and plenty of room for everyone. Gaylord Palms is a 1,406-room property set on 65 acres. The public space includes a glass atrium that houses 4.5 acres of themed Florida natural environments. It’s as lush and fragrant as a botanical garden and the turtles, fish, stingrays and baby alligators should keep the kids happy. Swimming pools, a water park and an award-winning spa are perks. This elegant boutique hotel in the planned community of Celebration is a refreshing change from the larger, less personalized resorts. The Bohemian Hotel’s 115 rooms are decorated in old-Florida style with rattan furniture, ceiling fans and tropical accents. The welcoming lobby is filled with fresh orchids and original art. Fine dining available on site. Legendary NFL player Don Shula has turned his attention away from football and towards creating the perfect hamburger. Shula Burger is his Florida chain of fast-casual eateries that feature juicy beef patties made from a blend of Black Angus, short rib and brisket. Order one of the menu’s Signature Burgers or create your own from a variety of toppings. Kids eat for $1.99 on Tuesdays. Wine and a fine selection of local craft beer are served. Vegetarian options are available. For more information on planning your next Kissimmee value vacation, and money-saving offers, go to ExperienceKissimmee.com.